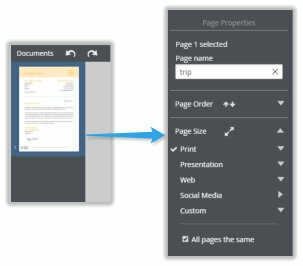 Select the page you want to resize by tapping the page thumbnail in the Documents panel. 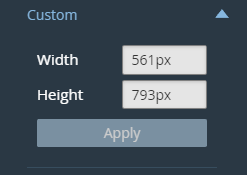 The Page size dialog which is part of the Page Properties panel appears on the right side. In this example the selected page is a print document - you can see the Print category is ticked to indicate this.